Третья Мещанская: “№ 3 Meshchanskaya Street”, or “The Third Philistine”? 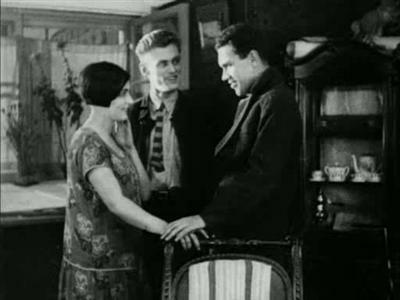 A Look Back at Abram Room’s Classic Film, Третья Мещанская: a picture of life in Moscow after Lenin, but before the full force of Stalinism. The focus of my Russia studies has recently turned, through no conscious design of my own, to the period between the two World Wars, in the first half of the twentieth century. This may be no accident, though, as I am deeply fascinated by the unprecedented levels of dynamism, change, brutality and vision of Russian society in the decades after the Revolutions of 1917. My translations of Bulgakov and Mandelstam, my examination of the Soviet Five Year Plans, and my review of Douglas Smith’s book Former People all relate to this era when the revolution was still finding its way (see earlier posts- ‘The Old-Timers of Moscow Will Remember,’ ‘Leningrad,’ ‘All According to Plan,’ ‘Former People’). 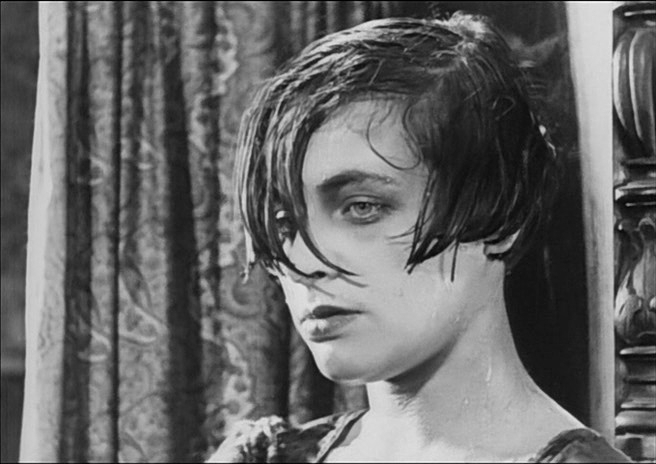 Deciding to continue in this direction, I thought I should take another look at a Russian silent film from 1927, variously called Третья Мещанская (Tret’ya Meshchanskaya), Любовь втроём (Lyubov’ Vtroyom), Three in a Basement (in Germany) and Bed and Sofa (in English speaking countries). I was introduced to this film as an undergraduate in a class on Soviet film, but watching it again, investigating its history and looking at some of the reviews published in Russia when it first came out, highlight for me the tasks Russians faced in trying to create a new society after the shattering of old social conventions, and the efforts of the Communist Party to define new ones. With this in mind I will offer my own review. The two Russian names for this film by Abram Room beg some comment. The original title, Любовь втроём, while translating to English as “Love with Three,” would be better understood by its French translation—“Ménage à Trois.” Soon after it was released, though, the name was changed. The ambiguity of the new title, Третья Мещанская, or “Third Meshchanskaya,” could lead to one of two conclusions: that the name was changed to make it sound less bawdy and offensive, or to imply a more politically correct, “revolutionary” perspective. The difficulties of translating this title to English give evidence of this duality. 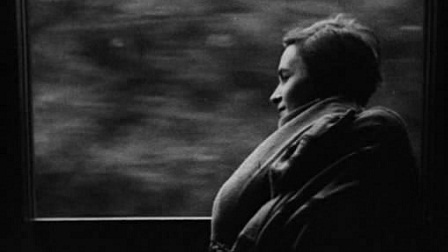 Within the context of the story, the meaning that works best is as an abbreviation of “№ 3 Meshchanskaya Street.” Early on in the film a title card explains: “Third Meshchanskaya still sleeps . . .” followed by a view of a house on a side street in Moscow. The next card reads, “and so do her inhabitants . . .” after which we see a couple asleep in bed. But the word “meshchanskaya,” and its other forms—meshchanstvo, meshchanin, etc.—denote a particular socio-economic class of that time in Russia; specifically lower middle-class tradesmen and merchants who lived in cities. This was not a flattering designation. There is a Russian Wikipedia page specifically devoted to “Meshchanstvo (characteristic of a person).” Here it explains the term to mean, “the designation of a type of character and personality of man. 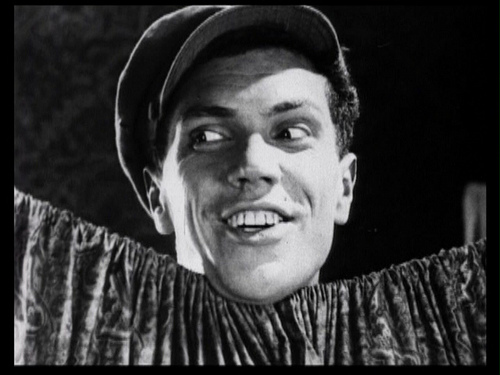 According to one definition, a meshchanin—is a person characterized by traits such as meanness, stinginess, lack of strong convictions or sense of responsibility to society.” English translations of the word meshchanstvo are given as “philistinism” and “babbitry,” Another appropriate synonym in the context of Russia after the 1917 Revolutions is “petty bourgeois”. By this reading we could translate the title as “The Third Philistine” (specifically a female). These terms meant a great deal to Russians at this time. Under the new Communist Party regime, which strove to create a classless society, class meant everything. 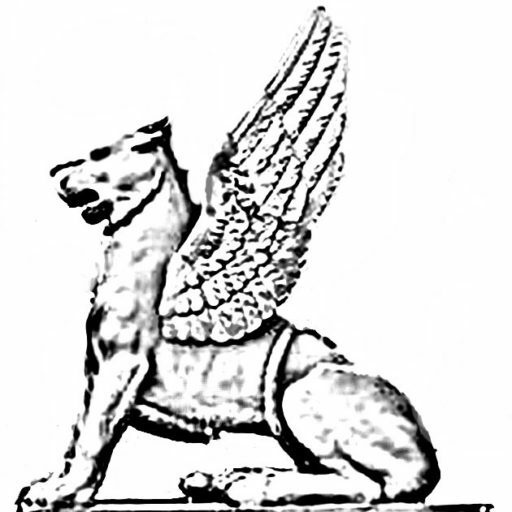 1927 was the last year of the NEP, or New Economic Policy, which allowed for some private enterprise and market activity after the failures of policies known as “War Communism,” which had tried to establish a socialist economy by outlawing private ownership, sale for profit, banking and even money. While the NEP helped increase production and put people back to work after the Civil War, many members of the rapidly growing Communist Party felt the revolution was being betrayed as they saw merchants and tradesmen increasingly flaunting their “wealth” gained at the expense of their less entrepreneurial proletarian brethren. And, as we see in the film, even less well-to-do urbanites were vilified for simply looking out for themselves and trying to improve their own condition, rather than giving their all for the betterment of Soviet society and the state. 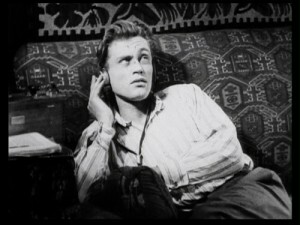 Whether ordinary people living on Meshchanskaya Street, or philistines, the film follows the travails of three young Muscovites—Kolya and his wife Lyuda, who live in a one room basement apartment, and Kolya’s army buddy, Volodya, who arrives in Moscow to work as a printer and crashes on their sofa until he can find a place of his own. Kolya is a happy, fun loving man, always smiling, even when he is reminding Lyuda that it is Saturday and so she needs to scrub the floors. He works as a construction engineer, renovating the Bolshoi Theater (scenes of Theater Square in Central Moscow from atop the Bolshoi are amazing, as are other street scenes in Moscow). Lyuda is a beautiful but unhappy woman. She resents Kolya’s devil-may-care attitude as he leaves her to do all the household chores. The scene where she is clearing the table and washing the dishes while he lifts weights and admires his own (rather skinny) physique is typical. 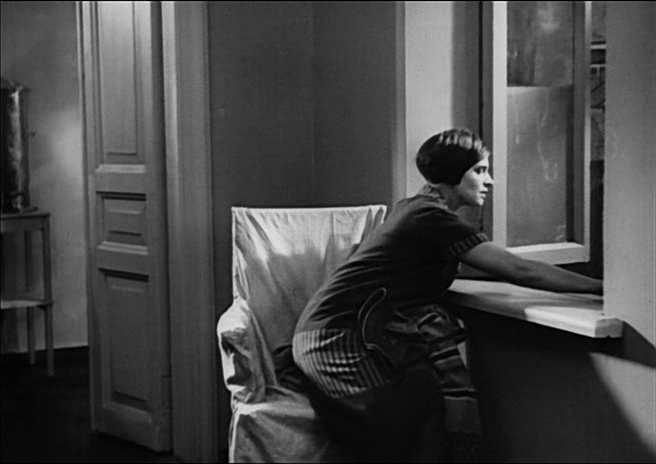 Among these portraits of apartment life, my favorite is one in which Lyuda is washing her face (in the same tub she uses to wash the dishes), while Kolya is taking a shower; standing in a round basin hardly big enough to fit his feet and under a samovar perched on top of an armoire with its spigot open. At first things don’t seem much changed after Volodya arrives and takes his place on the sofa (displacing the cat); Kolya is happier than ever, but Lyuda seems resigned to the extra work she will need to do. There is, though, a glint in her eye as looks Volodya over after his somewhat embarrassing first entrance. And when Kolya is given a temporary assignment out of town, Volodya and Lyuda are left to get acquainted on their own terms. It turns out that the new arrival is more than happy to help out around the apartment, unasked, and even brings home a new radio, and a magazine for Lyuda, with which she instantly retreats to her bed, and loses herself in its pages. Though understandably angry, Kolya decides to accept his fate, and quits the apartment. We see him wandering the city, and sleeping on a desk in an office somewhere. When he comes back to pick up something he had left behind, Lyuda, feeling sorry for him, offers to let him stay, pointing out that they have a free sofa he can sleep on. Good natured Kolya shrugs and accepts, and life goes on at № 3 Meshchanskaya Street. Things take a more serious turn when Lyuda finds out that she is pregnant. On hearing the news, Kolya tells her (while Volodya consults a calendar), “You need to get an abortion. I don’t want to have the child of another.” Volodya does not argue this point, and Lyuda dutifully appears in the waiting room of an abortion clinic. But as she nervously waits her turn, she happens to look out a window and sees a young child playing with a doll, and then an infant in a pram. This gives her a new perspective and she immediately leaves the clinic without getting the abortion, returns to the apartment, packs her things, leaves a note and goes to the train station. By 1934 the decision was made. It was announced at The First All-Union Congress of Soviet Writers in that year that the accepted method for literature in the U..S.S.R. would be Socialist Realism. This was soon applied to all of the arts, and it became difficult, and in fact dangerous, to portray anything other than that which clearly supported the work of building Communism in the Soviet Union. This typically meant promoting Party policies, glorifying the achievements of exceptional workers and praising Soviet leaders, especially “Uncle Joe” Stalin. With this directive, all art in the U.S.S.R. was expected to serve the state—that is, essentially, feed the propaganda machine. 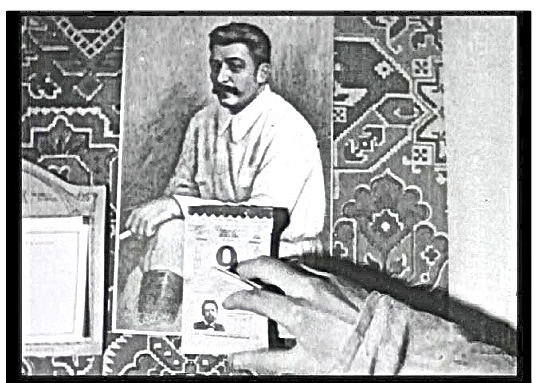 Is that a picture of Uncle Joe Stalin on that calendar? Whichever of its many names you want to give it, it is a brilliant film, released at the end of the short breathing space between two decades of monstrous upheaval. For many Russians this was a period of trial-and-error in the process of figuring out how to live in a transformed society. Behind them was the devastation of World War One, the end of Tsarism, the Bolshevik Revolution, Civil War, the Red Terror, consolidation of Communist Party rule and the creation of the U.S.S.R. Ahead of them still was the take-over of all economic activity by the state, the forced industrialization of the early Five-Year Plans, the forced collectivization of agriculture and resulting famine, the “purges” that saw the arrest, imprisonment, exile and execution of tens of millions, and another World War. To me, an American in the 21st century, these people look like ordinary folk trying to get by in an environment that was chaotic, complex, ever changing, new and probably more than a little scary. 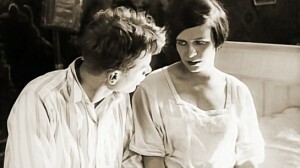 Pingback: После смерти | After Death (RU 1915) | Silents, Please! This is a really great post, John – I really like the film and you include a lot of really great contextual information here. Thank you for writing! Just so you know, I linked to this article here on my blog. 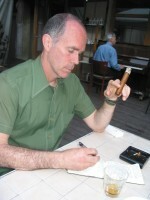 PS – did I write ‘really’ three times in one sentence? Oh dear.